I have been working at Montebello Filters for over 35 years and have never seen it allowed to use the Montebello Lake for anything other than what its purpose is – an overflow catchment for the smaller waste lake up on the property of the filters. I have seen it requested to be used for paddle boats, canoeing, kayaking (I’m not even allowed to kayak on it! ), fishing, ice skating, model boat racing, etc. The answer has always been “NO”. 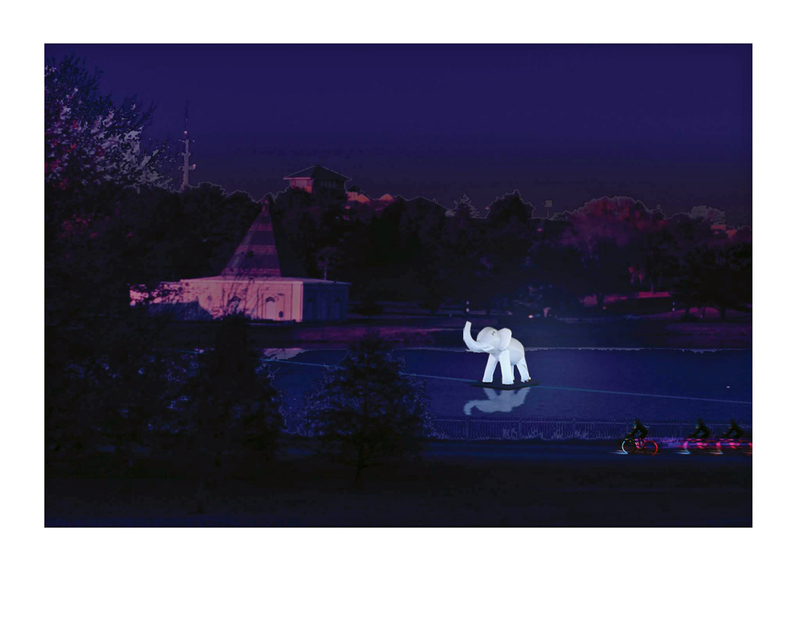 But next week – there will be an inflatable elephant floating on the lake! Yes, you heard me – an inflatable Lighted elephant! History will be made next weekend. But seriously – I think it looks pretty cool and I can’t wait to see it! See lightcity.org for a list of other events around Baltimore.